Volunteer to work with us. All motorcycle riders are welcome to join us. As with everything, there are hoops to jump through. If you are willing to use your own bike then it obviously has to be roadworthy and capable of carrying whatever the hospitals want us to take. Hard case panniers and/or top box are a must. We do not allow soft panniers or bags unfortunately. The hospitals are aware that there are limits as to what we can carry on a motorcycle. You must have at least 12 months fully licensed motorcycle riding experience and you will also have to undergo an assessment ride with one of our selected trainers. We will openly encourage and help riders to become Advanced Riders. 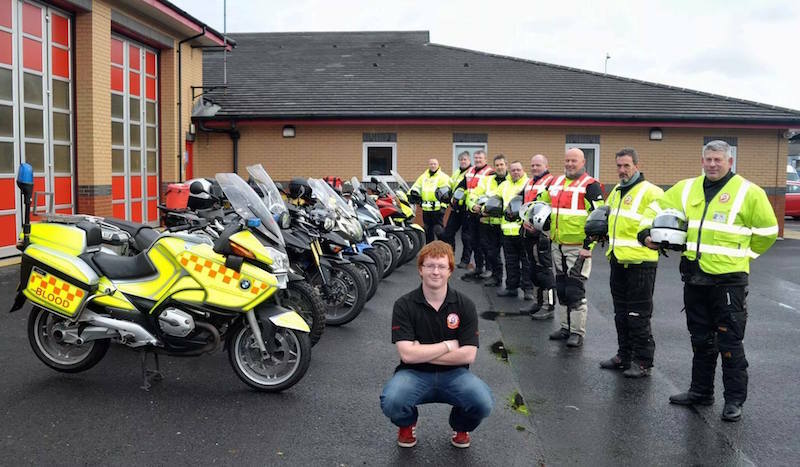 If you already hold an Advanced rider certificate and it was completed in the last 3 years or renewed within that period, you then become eligible to ride a liveried dedicated blood bike following proof of dedication to the charity. In this case emergency training will be given at a later stage. NWBB L&L transports blood, samples, small medical equipment, patient notes, various paperwork between your local hospitals from 7:00 pm to 2:00 am Monday to Thursday, 7:00 pm Friday to 2:00 am Monday and Bank holidays. However over the weekend it is split into a day shift and night shift, 12 hours each. The minimum commitment is just TWO shifts a month or 24 shifts a YEAR that’s all! By volunteering as a Controller/Dispatcher you will be offering to cover a phone between 6:00 pm to 2:00 am Monday to Thursday, 6:00 pm Friday to 2:00 am Monday and Bank holidays, split into manageable 6 hour shifts. The role is very simple, a single telephone number is called by the hospital and that will be diverted to the personal phone of whoever is the controller. This can be any UK based number, either your mobile or home number or both. When the hospital rings, you answer it, fill out a simple form asking for set information and then contact the most appropriate duty rider. The rider will Text you when he/she collects & Delivers, which you enter that time onto the sheet. They will also Text when Home Safe, All this is done online. THAT’S IT! The minimum commitment is just TWO/THREE duties a month including weekends that’s all! Sound daunting? It’s not as bad as it reads. The age of our controllers ranges from early 20s through to early 80’s. 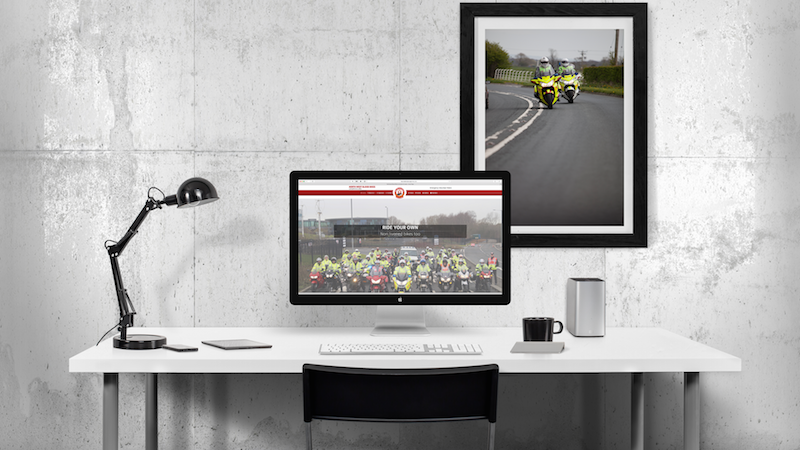 Full training is provided before you go on a duty, and support is always available from our experienced management team. The role of Fundraiser is invaluable. We are a registered Charity and our source of income to run the service we provide comes from donations or fundraising events. These events range from shows, like The Grand opening of Ghost Bikes in Preston, Black Tie Dinner Dances for corporate sponsors, and even the Preston Guild celebration. We also collect outside supermarkets where we get to meet loads of interesting people. Your ideas would always be welcome. 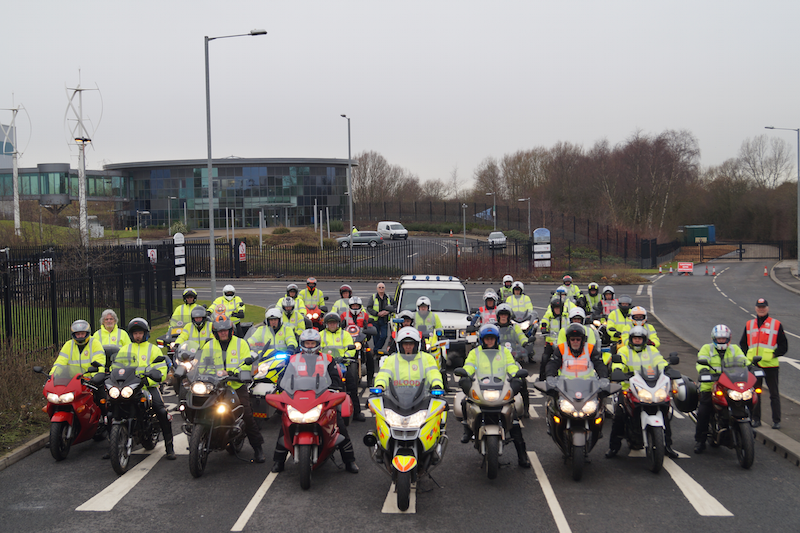 Our Fleet manager, Simon, recently organised an event with the Freemasons and subsequently they bought us new bikes. One of our Trustees, Andy, organised and ran a “Scrabble Run” around bike dealers and bike mechanics, it was a great success. Any support you can offer either on a one-off event or by joining the team, will help us to be able to continue to offer our important and very needy service to the NHS. 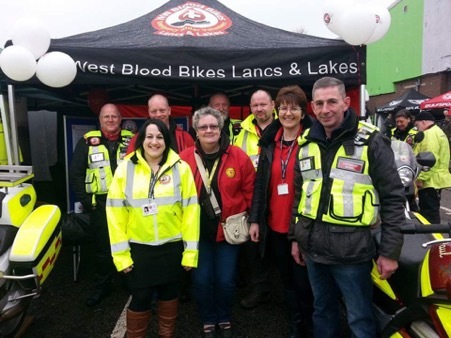 North West Blood Bikes Lancs & Lakes are recruiting volunteer car owner/drivers to help out with Regular Runs, in our West Lancashire area only, to transport urgent items between the hospitals Ormskirk to Southport at 22:00 and Southport to Whiston at 22:30. Volunteers are only obliged to do two shifts each month. At present volunteer motorcyclist do this, but there is a need for drivers with cars. If you feel you can help out, please complete our driver form from the link below. You must have a full car driving licence with no more than 6 penalty points and the car must be fully insured for carrying items for NWBB Lancs & Lakes and the NHS. Your car must conform to all legalities and be roadworthy. Volunteer Enquiry for Car Drivers. If you feel you can help by becoming involved in any of these roles please use the appropriate contact button above and we will get back to you shortly.